Christmas may only come around once a year but luckily for us our French Pharmacy promotion doesn’t! Back once again to spoil our skin, French Pharmacy month has returned to banish our post-Christmas blues and get our skincare regime back on track. Whether you’re a loyal French Pharmacy go-er or this is the first time you’re experiencing the drool-worthy deals, French Pharmacy month promises to keep that festive cheer going for a little while longer. Perhaps the repercussions of one too many Quality Streets are taking a toll on your skin or maybe your under-eyes could do with a little TLC after one too many late nights? No problem! With up to 1/3rd off selected French Pharmacy brands the skincare treat you need is just a click away. But if the last couple of days are still catching up with you don’t worry, I’ve collated all the must-have French Pharmacy products everyone’s talking about, meaning you can fit in a quick French Pharmacy fix before a much needed snooze! 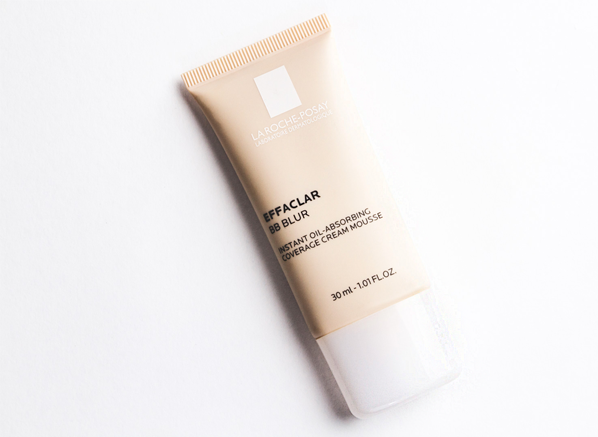 It doesn’t get much hotter than La Roche-Posay Effaclar BB Blur. Currently available for pre-order exclusively at Escentual (official release date is January 1st), this oil-absorbing, skin-perfecting cream mousse has created quite a stir already. If you suffer with blemishes, enlarged pores, fine lines or an oily complexion this is a must-try for you as it will blur imperfections, mattify the complexion and give your skin a flawless base. French Pharmacy is the perfect opportunity to try something new, so newness we shall bring! 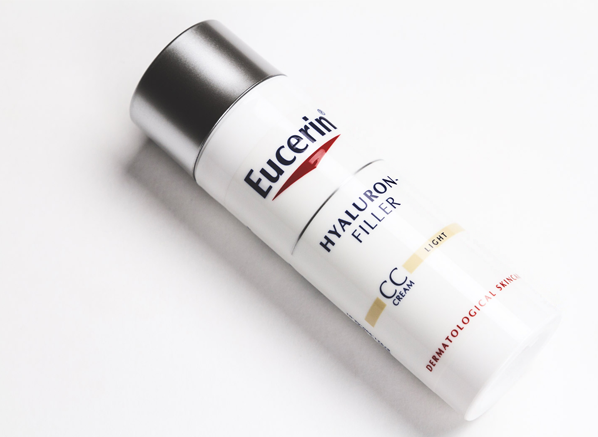 The Eucerin Anti-Age Hyaluron Filler CC Cream is the new product you need if the hustle and bustle of December has taken a toll on your skin. Enriched with light colour pigments that even the skin’s tone, and skin-plumping hyaluronic acid that targets wrinkles and fine lines, the CC Cream is a must-add-to-basket if you want to face 2016 with a youthful glow. Looking to start the new year with a clearer complexion? I know how you feel! French Pharmacy is an ideal time to take a leap of faith and try a new product. Who knows? It could be the one thing you’ve been waiting for! 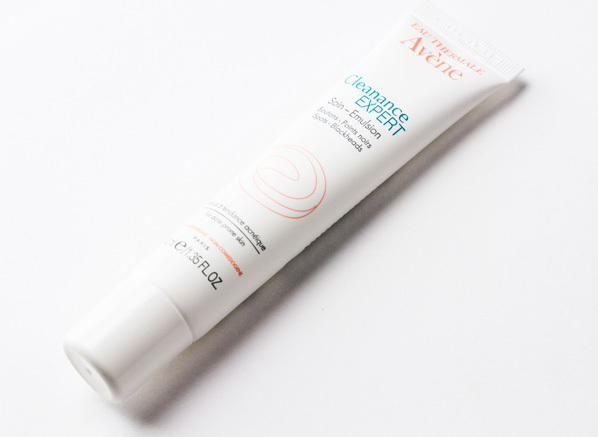 Avene Cleanance Expert is an award-winning formula that regulates sebum production and mimics the skin’s natural exfoliation process helping to keep skin clear and matte. So, if you’ve struggled throughout 2015 with adult acne now is your chance to try this skin-renewing treatment. There’s a reason everyone’s raving about it! I had to pop this little gem in as it definitely is at the top of my personal what’s hot list. 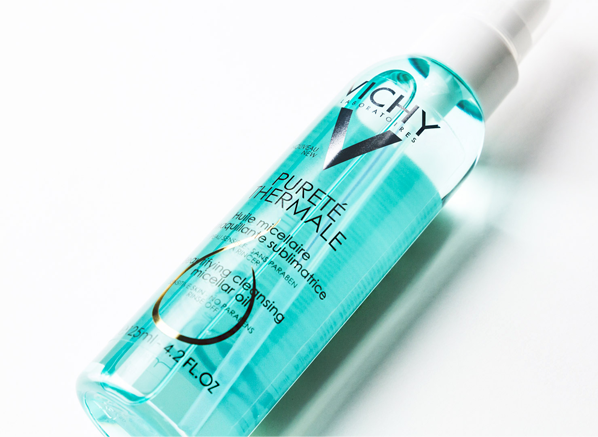 Lightweight and non-greasy, the Vichy Purete Thermale Micellar Oil makes my entire makeup removal routine quick and easy. As well as removing all traces of makeup (even full-face festive warpaint), the oil removes impurities, excess sebum and dead cells without irritation or rubbing. And another reason it’s such a big hitter is the protection it provides against free radicals, making it much more impressive than just any old makeup remover. 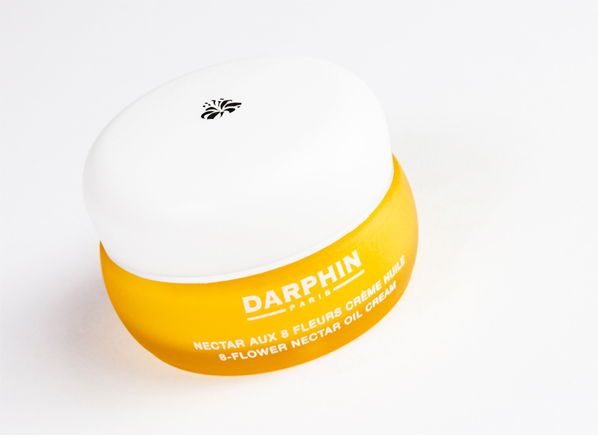 If you want to take French Pharmacy as a chance to spoil your skin, then the Darphin Eight-Flower Oil Cream is definitely the one to do it with. The latest release from luxury skincare brand Darphin, the oil-cream hybrid is a daily moisturiser that aims to smooth, firm and improve the elasticity of your skin. Truly luxurious, each jar contain the equivalent of 280 flower petals, and once created the formula is left in the jar for 168 hours to reach its optimum efficiency. Nothing about this whipped formula is ordinary and it’s just the thing if you want to start 2016 off with a bang. 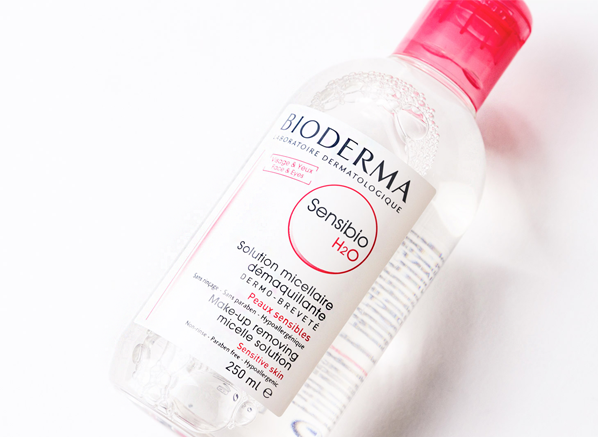 An oldie but a goodie, Bioderma Sensibio H20 will be on my French Pharmacy shopping list time and time again. An easy go-to for removing makeup and refreshing the skin, it’s a product that you can always do with a secret stash of. 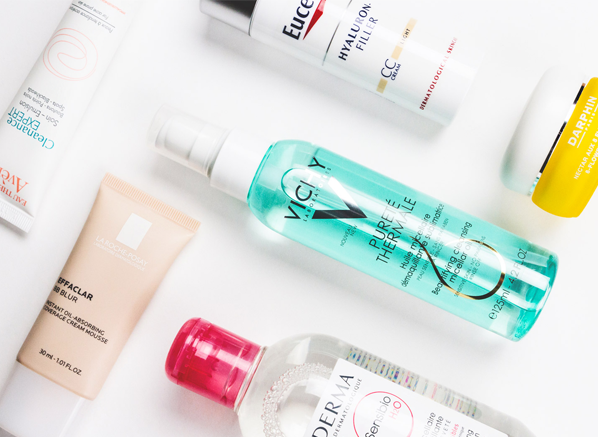 After celebrating its 20th birthday back in September, the H20 Micellar Water is showing no signs of slowing down any time soon. So, if you’re still yet to try it, now is your chance! This entry was posted on Saturday, December 26th, 2015 at 9:00 am and is filed under French Pharmacy, Skincare, Spotlight On. You can follow any responses to this entry through the RSS 2.0 feed. You can skip to the end and leave a response. Pinging is currently not allowed. I would like to know more about the shades of the BB blur. Do the shades run darker than expected or not?? I bought once a bb cream in light that was too dark.